Technically, not all of these are weeds, but of the five home remedies listed below, four are considered just that by most people. One of my all time favorite quotes is by A.A. Milne: “Weeds are flowers, too, once you get to know them.” This is true for plants as medicine also. Always make sure you’ve correctly identified what you’re using from the wild and then get ready for an eye opening experience. There are lots of other herbs that can be used for the same purposes that I’ve outlined below, but we try to focus on the plants that are native or naturalized to our area. That way, we’re not dependent on ordering from an online source. If we have to order our herbs that we need for medicine, we might as well just go to the CVS pharmacy down the street, we’re not self-sufficient. Ok, here is the “thing” that needs to be said: herbal medicine doesn’t work as quickly as that pill you get from your doctor or the pharmacy and sometimes it’s as much a nourishing preventative as it is a cure. Always consult your physician if you are experiencing severe or life-threatening symptoms. It’s also one thing if you’re treating yourself but quite another if you’re “doctoring on” someone else, such as a child. Be fair about any decision to not seek professional attention. Elder – Sambucus nigra – Antiviral; fever reducer; mild antibiotic. 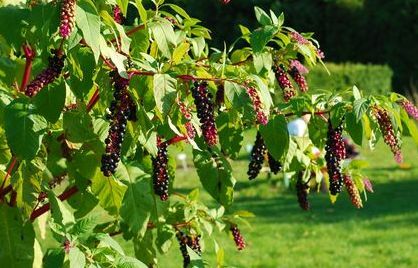 I think most people have at least heard of elderberries and elderberry syrup as a treatment for colds and flu. It’s easily found as a wild plant in most areas of the United States and you can use either the flowers or berries. The leaves are useful for different conditions, but I’ll cover that another time along with other preparations for the flowers (Yummy!). Elderflowers in the spring are easily made into a tincture to have on hand when flu season hits and the berries, which ripen in the fall, will be ready to turn into a syrup right before the cold and flu season starts. The method for making tinctures is universal, so you simply pack your flowers into a jar (fairly tightly), fill the jar with 100 proof alcohol and let it sit for about 8 weeks, strain it and cap it. To make the berries into a syrup, start with an infusion and reduce it to a decoction (aka syrup). 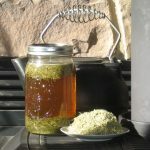 If you need it, a tutorial on making tinctures will be on the Herbal Medicine tab in a few days and instructions for making infusions and decoctions can be found in the post “The Difference Between Teas, Infusions & Decoctions. 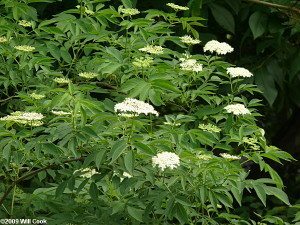 A typical dosage is a dropper-full of flower tincture 2-3 times daily in a glass of water or, for elderberry syrup, 2-4 Tablespoons every 4 hours at first sign of infection. Mullein – Verbascum thapsus – Anti-viral for respiratory infections; anti-inflammatory; helps make coughs more productive. Look for common mullein just about anywhere in zones 3-10 along road sides, in fields and pretty much anywhere there is full sun and it won’t have constantly wet “feet”. It can grow up to 6′ tall and 2′ around and has oblong hairy leaves that get progressively smaller toward the top. Second year plants will be the tall ones and will have a pretty yellow flower spike in July and August. It’s related to snapdragons and you’ll definitely be able to see the flower resemblance if you catch one in bloom. The leaf will be the part used and can be made into a tincture or an infusion. If you use it as an infusion, be sure to strain it or you’ll have fuzzy bits in your drink. You can use fresh or dried, but if you happen to have a fresh leaf available, take a look at how it looks and feels. 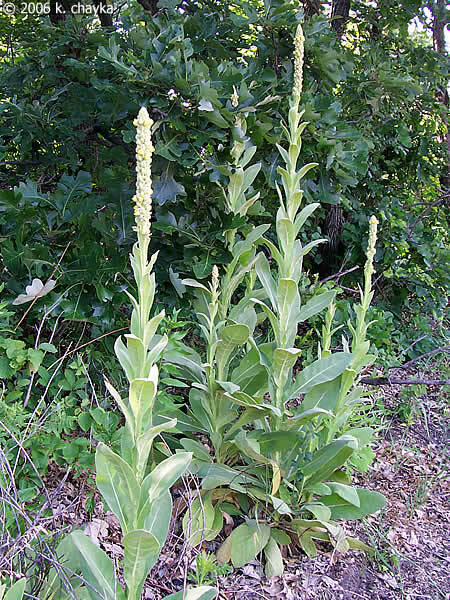 Mullein definitely has a resemblance to a tiny lung, is soft and spongy and is used for lung related illnesses. This little bit is interesting if you consider that Native Americans believed a plant’s appearance gave insight to its use. Start with 5-10 drops of tincture 4 times daily or 2 cups of infusion a day. Ginger – Z. officinale – Use as a synergist to increase the effectiveness of other herbs (by increasing circulation and relaxing blood vessels). 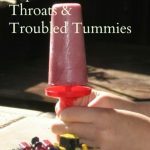 Calms nausea and reduces bronchial inflammation. Some claim that it’s as good an analgesic as ibuprofen. Ok, so obviously, this is the one I was referring to earlier when I said not all of these are weeds, but Ginger is such a valuable tool for your medicine cabinet that I couldn’t leave it out. 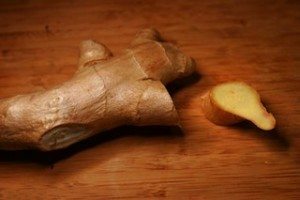 The best use of ginger is an infusion of the fresh root. Chop a thumb-size piece of the fresh root as finely as you can. You can also grate it. Put it in a jar with 8 oz of boiling water, cover and steep for 3-4 hours. The usual dose is 1 cup 4 or 5 times per day. 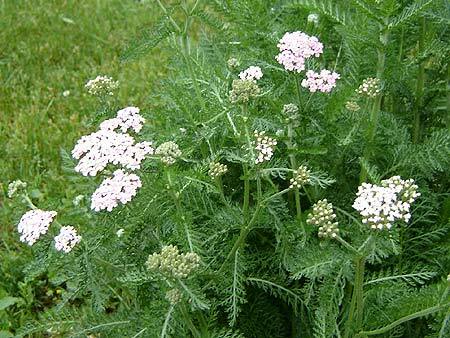 Yarrow – Achillea millefolium – To help break a fever. Yarrow is a member of the aster family (like chrysanthemums, daisies, and ragweed) It’s found in both flower gardens and as a wild plant along roadsides and in fields. It’s extremely hardy and both the flower and leaves are used as medicine. The wild, white blooming variety is the one most commonly used for medicine but there are many colors and leaf variations to ornamental yarrow. Some plants shouldn’t be used by pregnant women and yarrow is one of them. It has the ability to stimulate the uterus which could cause miscarriage. For fever, use the flowers, top few leaves and stem. You can pick it when in bloom and either hang it to dry or put it in a brown paper bag on the seat of your car for an afternoon, then stick it in a mason jar to have on hand even when the blooms are long gone. To prepare, steep a mounded handful of fresh or dried yarrow in a quart of hot water for 15 minutes and drink a cupful every couple of hours as needed. Yarrow tea is best consumed when hot vs. cooled like infusions. There will be another article coming on just Yarrow because of all its other benefits; wounds, urinary tract infections, women’s issues, hemorrhoids, etc. It could be a book of its own! Poke – Phytolacca americana – Immune system booster. Poke is a very controversial plant and many people feel very strongly about it because of its potential toxicity if used carelessly. Personally, I feel that one day the tide will shift on this, everyone will realize how extremely versatile and useful poke really is, and all the “poison hysteria” will be replaced by appreciation. People used to say all the same things about Elderberry and look at it now. I’ve got a more detailed post in the works about poke and its uses, but for kicking your immune system into high gear when coming down with a cold or the flu, a single drop of tincture once or twice per day for no more than a week or two will work wonders. It’s not really a preventative but more of a powerhouse that is used once you know you’re getting sick. 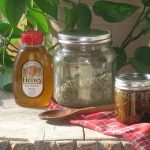 If you’re interested in trying some of these home remedies, but currently don’t have access to the plants, you can order them from Mountain Rose Herb by clicking the picture below. There you can find them in dried form or you can buy the tincture already prepared.